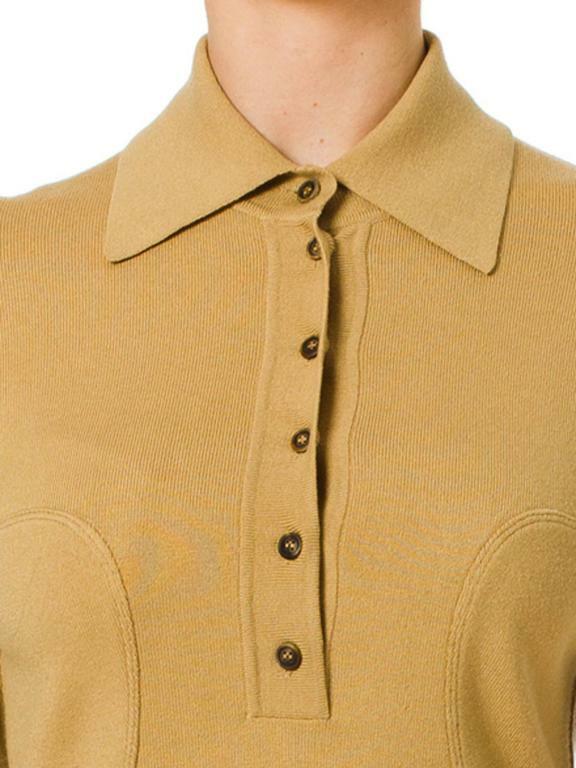 This is a tan jersey knit day dress with a plunging button-up neckline and complex seamlines. The princess-line seams over the bust extend into a v-bottomed inset over the hips, and finally a vertical seam down center front to the hem. 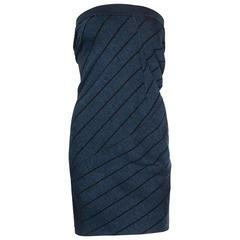 These lines are very flattering to the body, accentuating the bust and waist while slimming the tummy and thighs. 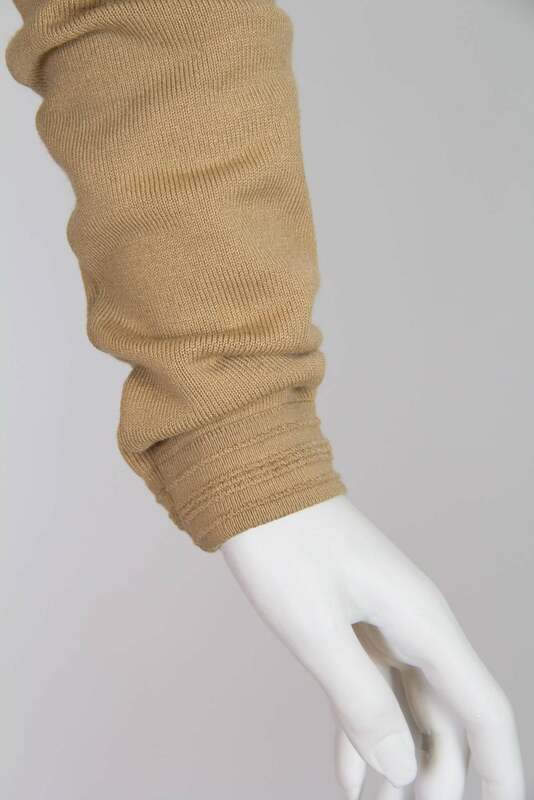 The simple tan hue and work collar offset the complicated seaming to keep this dress well within the range of acceptable work wear. A silk scarf tied about the neck and a pair of matching heels would dress up this look for a weekend abroad or that important meeting, while adding a touch of effortless vintage chic. 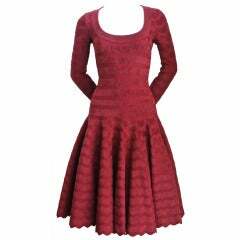 The long sleeves and knee-length hem give this dress a great deal of versatility, and it will quickly become a closet staple. 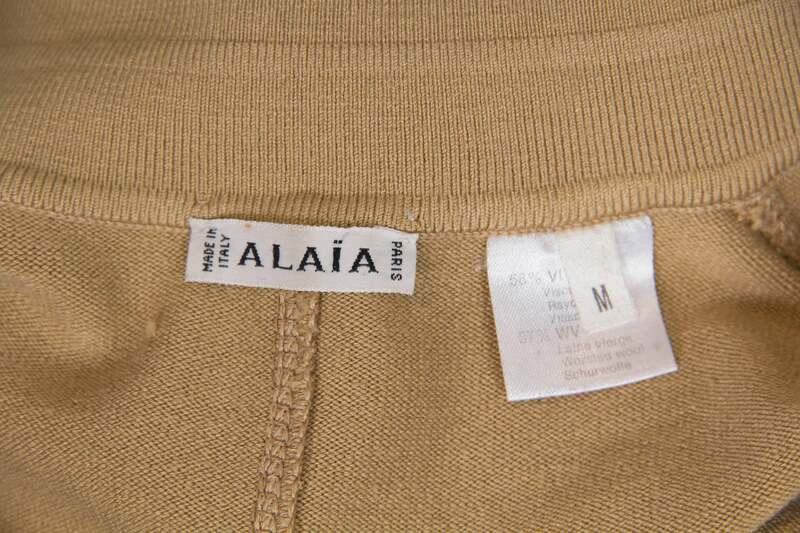 Made in Italy for Alaïa Paris.